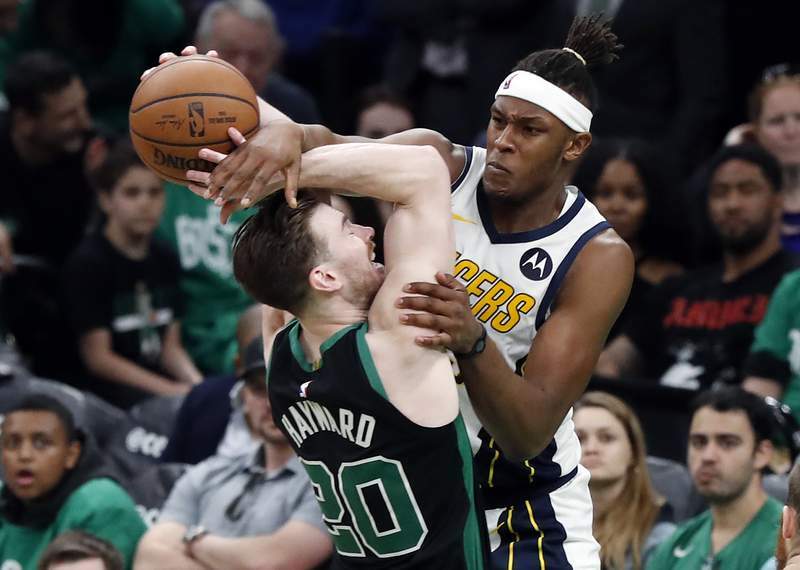 Associated Press The Pacers’ Myles Turner fouls the Celtics’ Gordon Hayward as he goes to shoot during the fourth quarter Sunday in Boston. 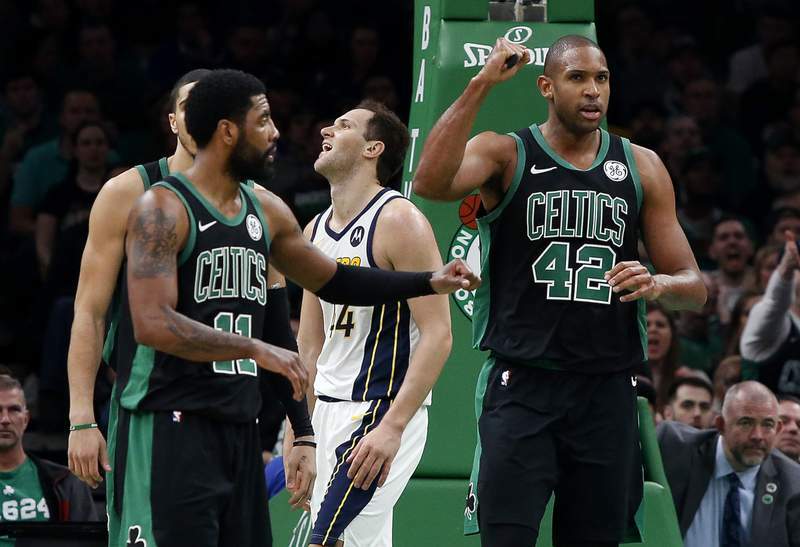 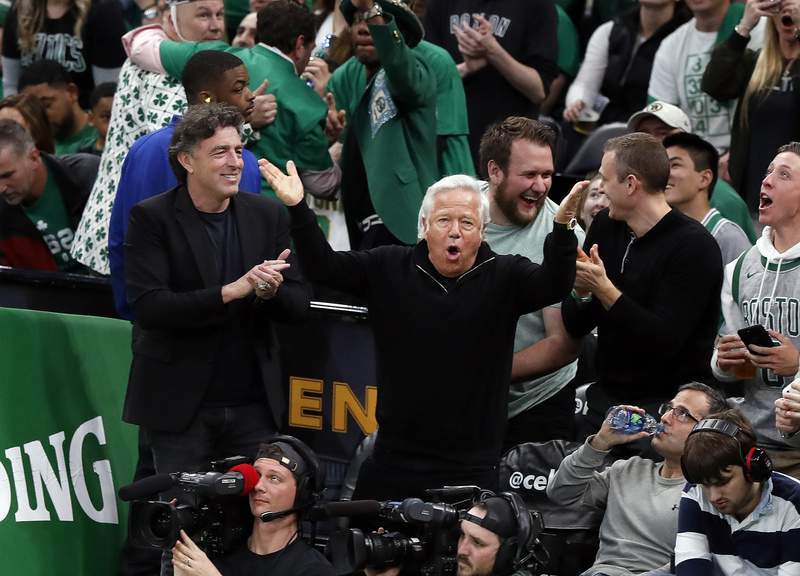 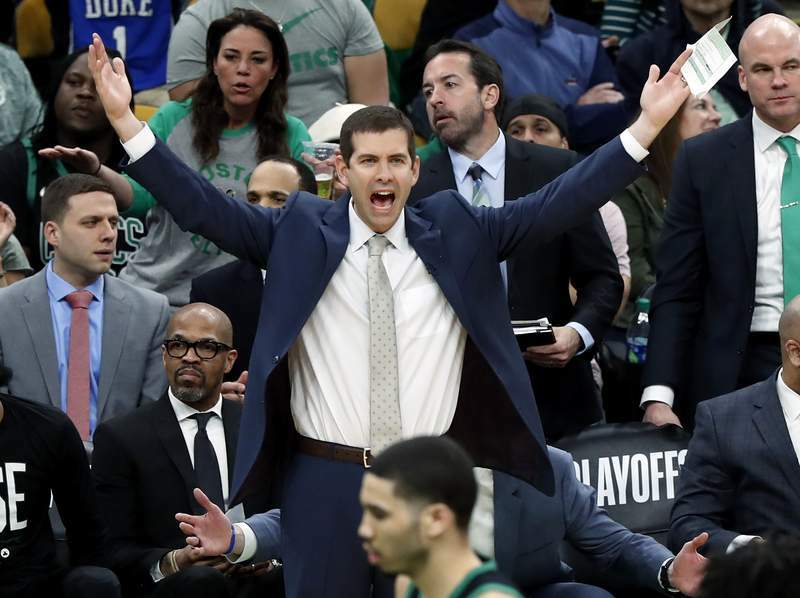 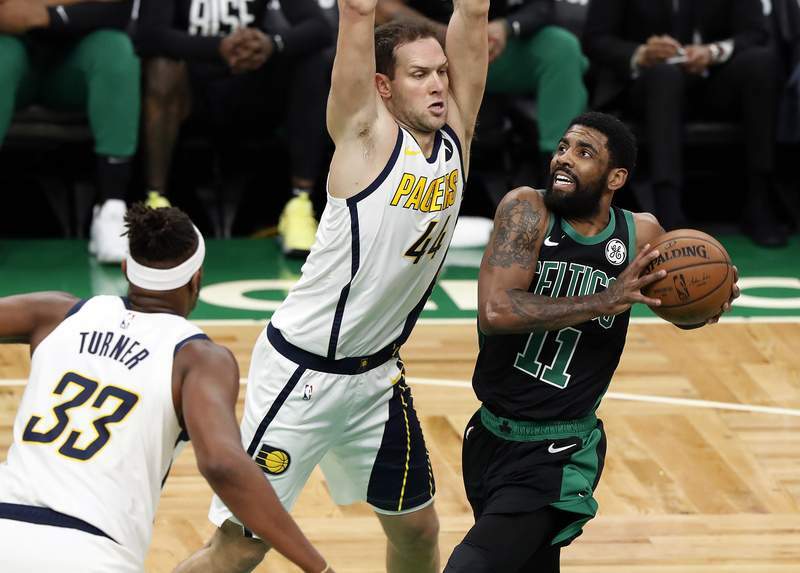 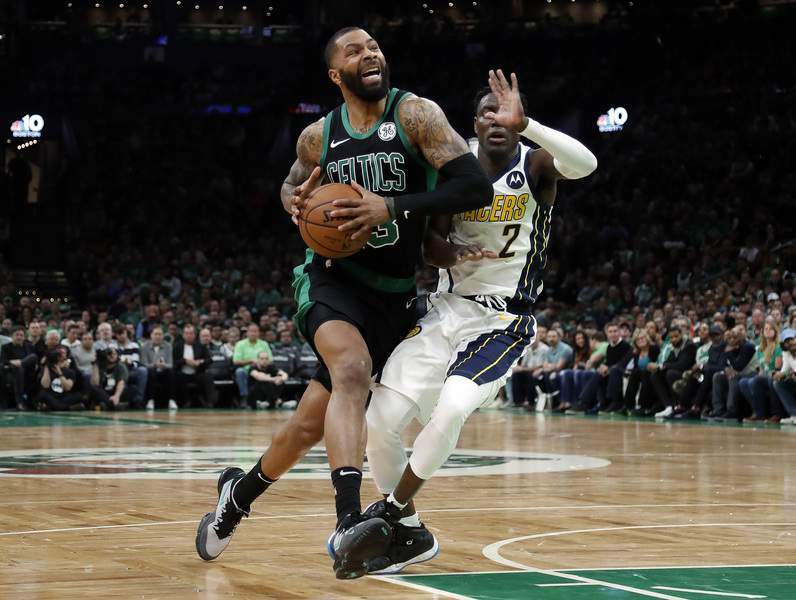 BOSTON – Kyrie Irving and Marcus Morris each scored 20 points, and the Boston Celtics rallied in the second half to beat the Indiana Pacers 84-74 on Sunday in Game 1 of their first-round playoff series. 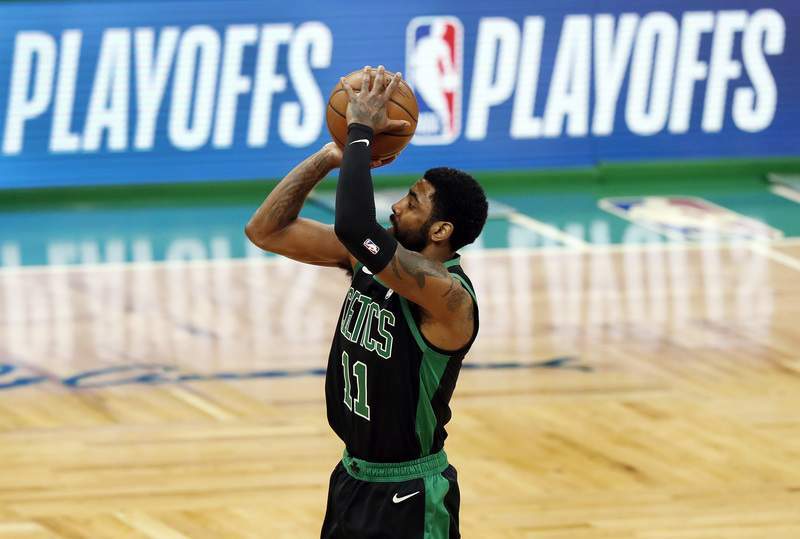 Game 2 is Wednesday in Boston. 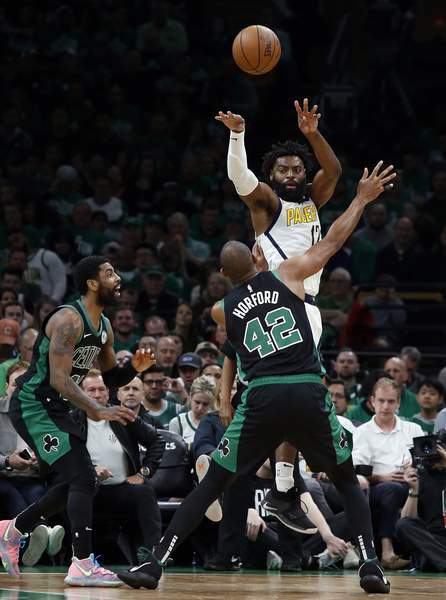 The third period ended with Terry Rozier connecting on an acrobatic 3-pointer with 0.1 second remaining to put the Celtics up 64-53.